This is another photo from June of this year. It is on black and white film not a digital photo. 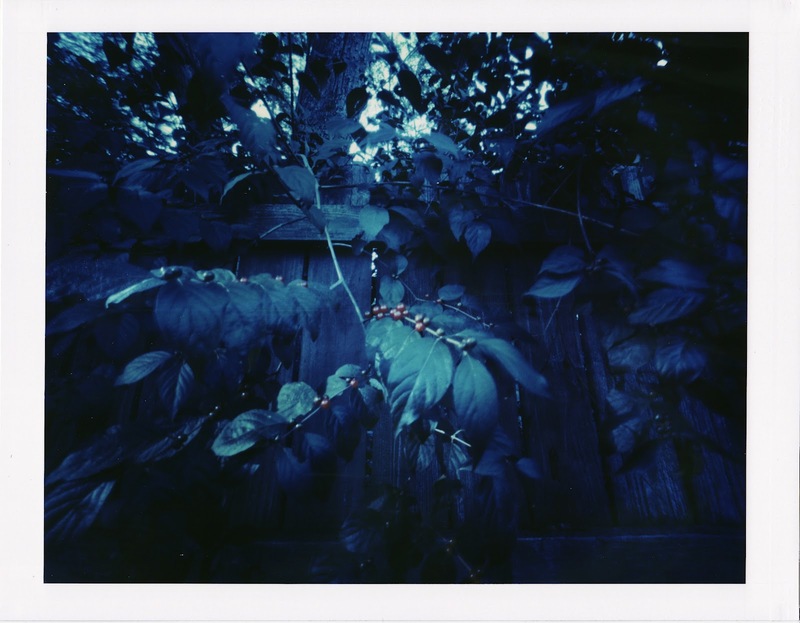 I like to contrast these images as well as their develop and print time to the instant images I have been doing since then. Two very different analog processes. 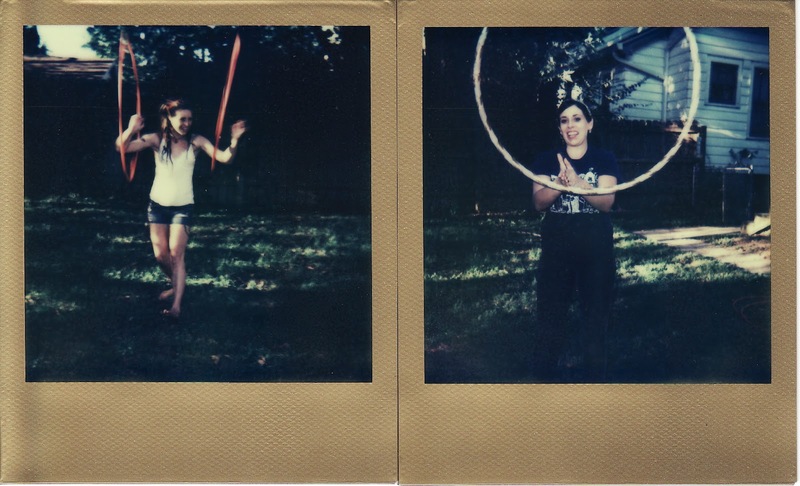 In June of this year I went to visit my sister and niece. 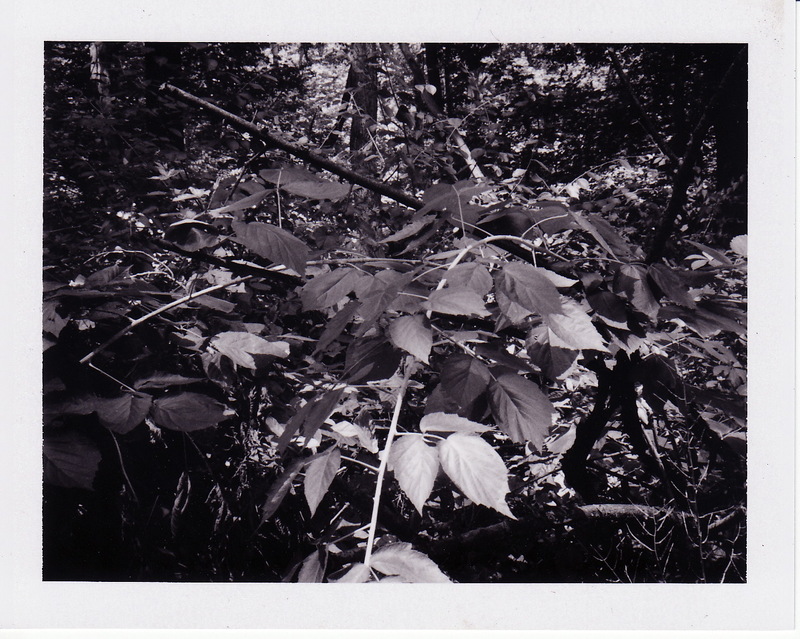 I took my small trusty Olympus 35mm camera loaded with Fuji Neopan Acros film for black and white prints. 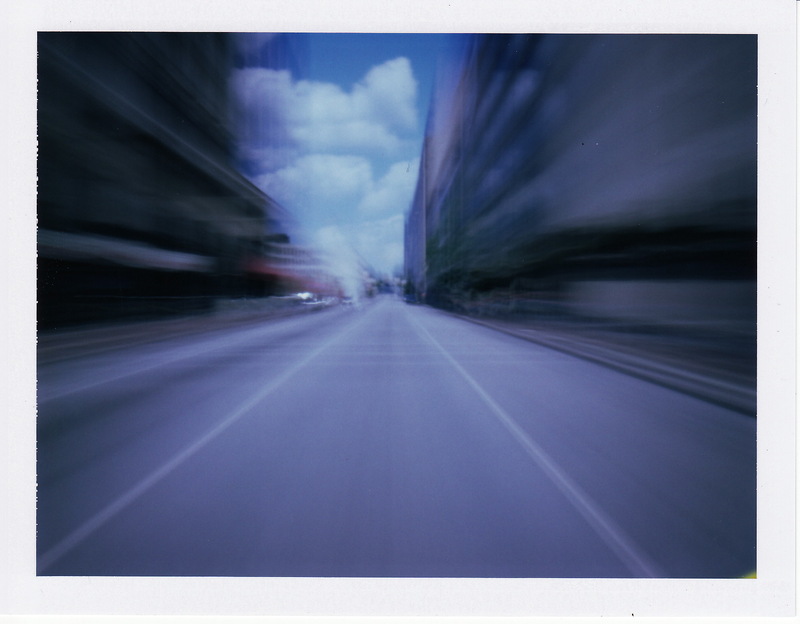 The film has been developed but I got caught up in taking the photos for my instant analog photography show. This and the next couple of posts will feature works from that time. 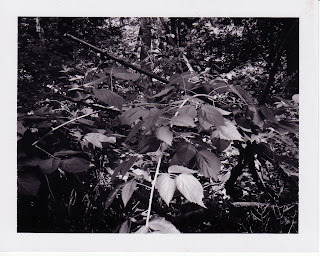 Of course they are still analog photographs however they were certainly not instant. 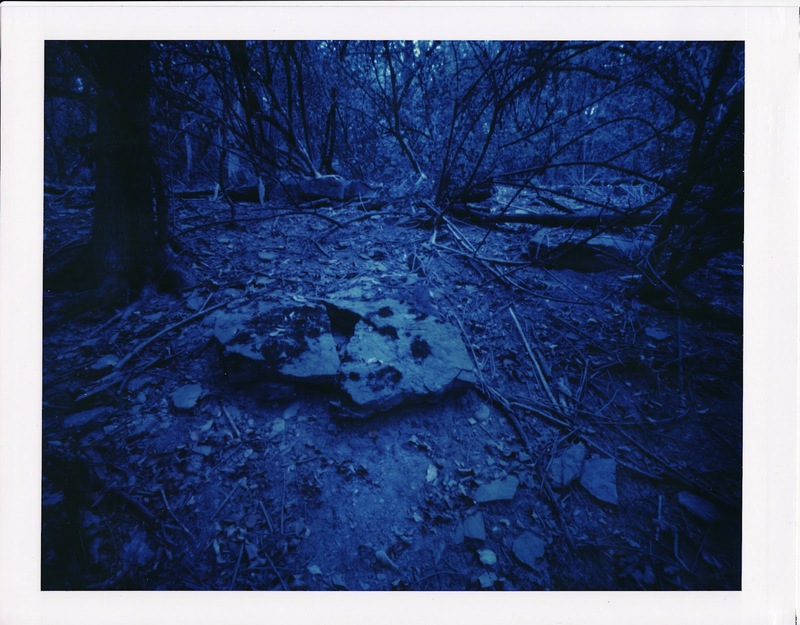 This 8X10 Polaroid is called Blue Melody. Truth Burns Blue is another of my 8X10 Polaroids. Please join me tomorrow to see this photo and many others. 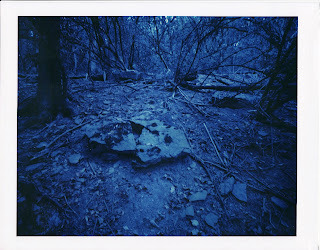 This 8X10 Polaroid Tangled Up in Blue is part of the exhibition. This one is called Blue Notes. Walking into Blue is an 8X10 color Polaroid. 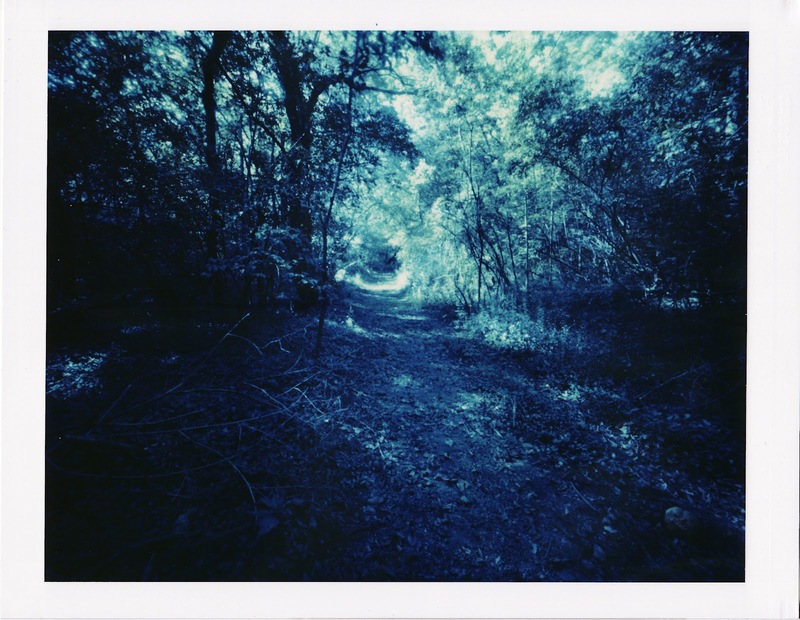 It was taken on the path that leads from Spring Lawn Ave into Parker Woods. As posted earlier all large format Polaroid is out of date and the long exposures needed for pinhole photography lead it into the blue. Still counting down to Friday. And then the painter took a photograph. Here is another from Spring Grove Cemetery. S.G. 7 is the title. 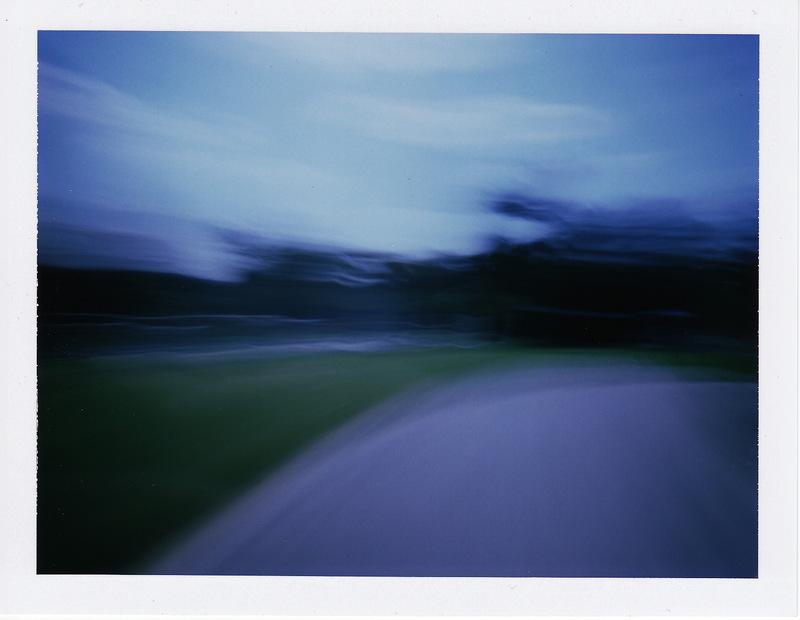 Slower movement allows more drama in the landscape. The countdown to next Friday is on. This is from a series of photos taken in Spring Grove Cemetery. 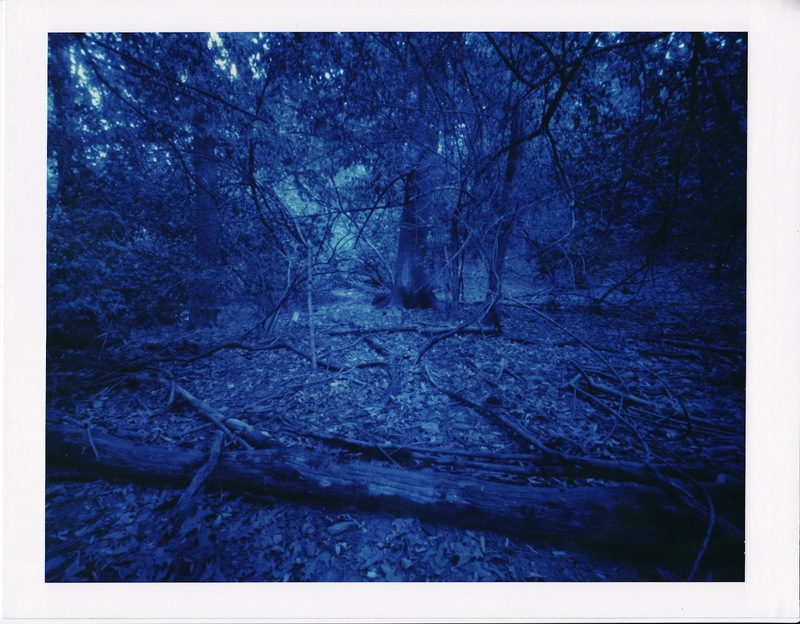 It is titled S.G. 2a and is another on Fuji 4X5 instant color film. One week from today my show opens. It's Audrey and Paiten again. 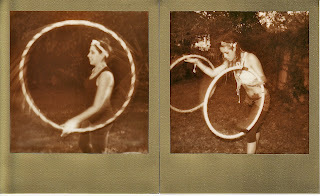 Two more photos were taken on Impossible Project's Gold Edition PX600 Silver Shade UV+ with a Polaroid One Step-Flash. This film has an Important Information sticker on the outside of the box. It says "Impossible images are sensitive to light. Shield them the moment they eject from the camera and during the first 4 minutes of development." These two photos were treated casually after exposure. It seems to have worked out nicely. Some times it doesn't work out so well but I will be showing those too. Paiten and Audrey this time taken on Impossible Project's Gold Edition PX680 Color Shade with a Polaroid One Step-Flash. The film was treated very kindly this time too. 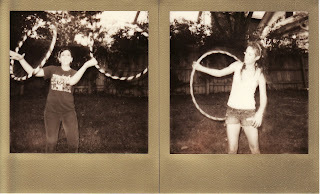 In these two photos are my neighbors Audrey and Paiten. 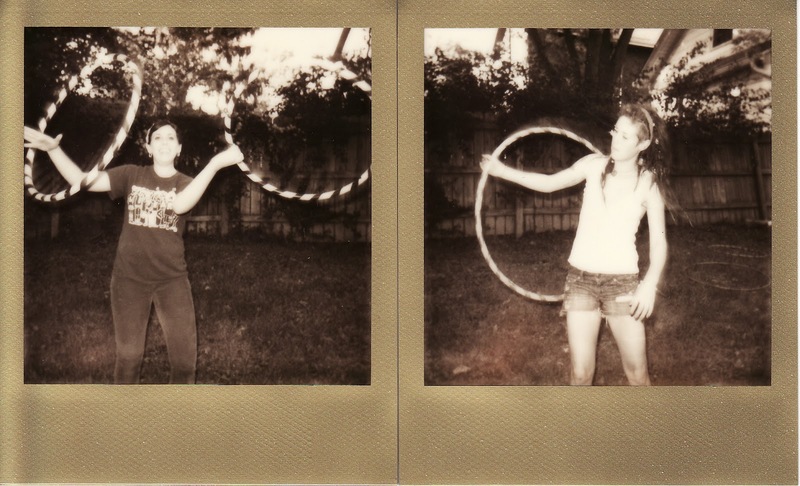 Audrey has two hoops and Paiten has one. Both of these photos were taken on Impossible Project's Gold Edition PX600 Silver Shade UV+ with a Polaroid One Step-Flash. Part of the time I tried to be very careful using this rather finicky film and at other times I did not. These two photos were taken while being very careful. 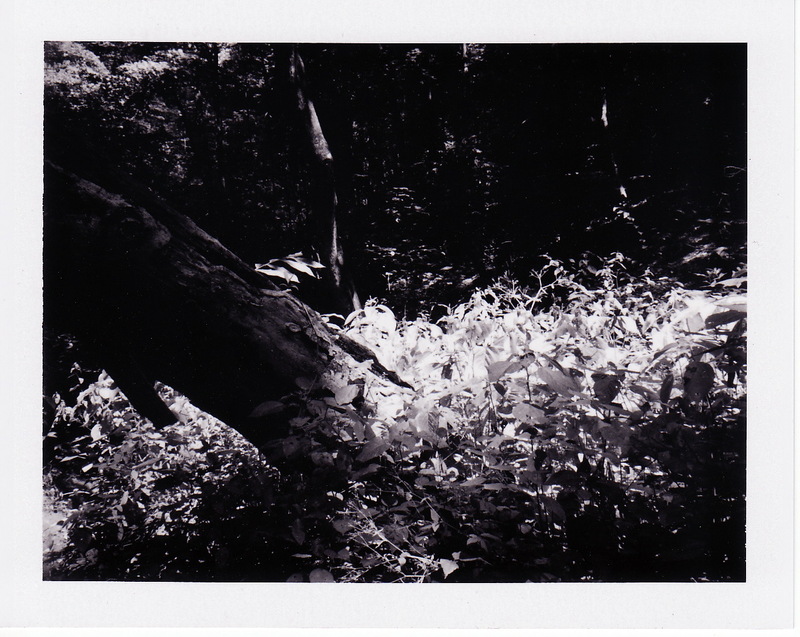 One more instant black and white photo taken with a Polaroid Colorpack II on Fujifilm FP-3000B. I took about 45 photos all on the same day in Parker Woods. If you have a small show announcement card with this image on it please note this is the true shape of the photo. Same camera and type of film and same day as yesterday's photo. I took this photo in Parker Woods just before you go onto The Flats. (I wrote that for all of you who live in Northside.) 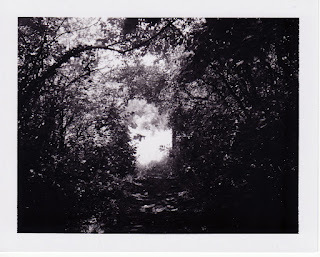 It was taken with a Polaroid Colorpack II camera on Fujifilm FP-3000B instant black and white film. Please feel free to invite everyone you know. This 4X5 instant color photograph was taken moving south on Hamilton Ave from the intersection at Otte Ave. It's true title is The Avenue H but sometimes I call it "Britni Hey Britni." Once again the technical information is a wooden Zero Image 75mm 4X5 camera with a Fujifilm 4X5 back. 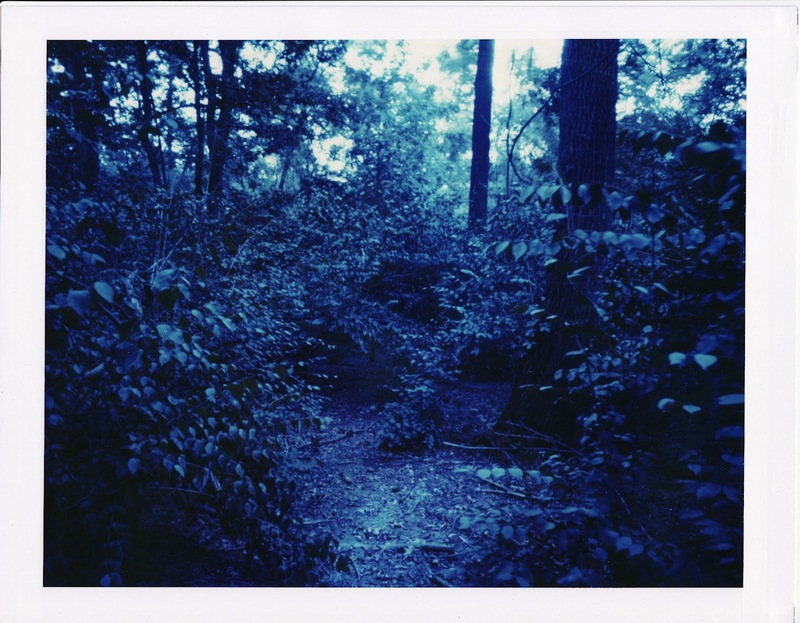 Fuji FP-100C45 film. 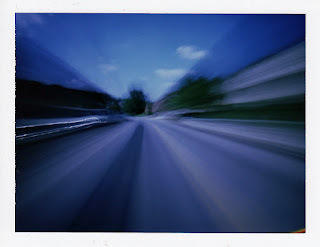 The exposure is f256 @ 25 miles per hour for 1/16 of a mile with Sheri driving her 2001 green Honda CRV. Another color 4X5 taken with a wooden pinhole camera in motion. I named this one The Wall. Please look at earlier posts. More photos and more importantly the information about the show and opening reception are there. 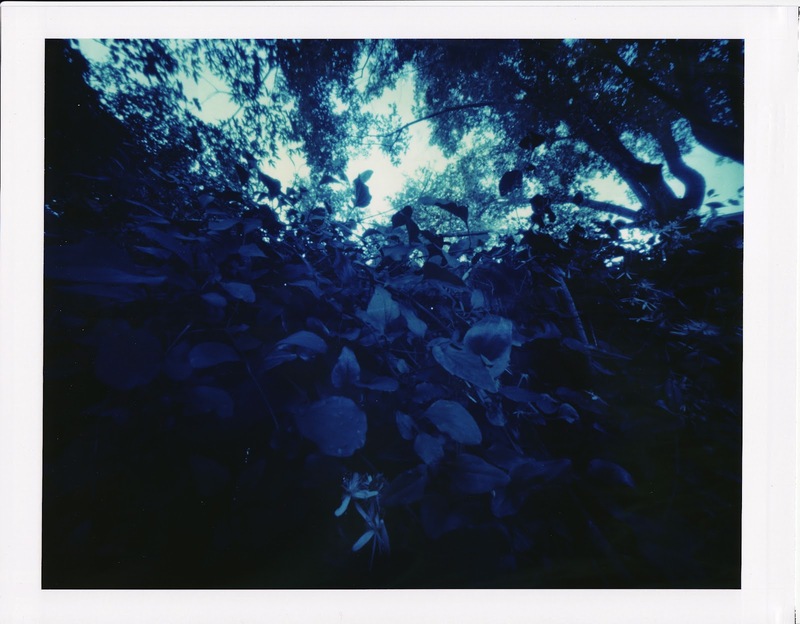 Today's show preview offering is a 4X5 taken on Fuji FP-100C45 instant color film that was not out of date but it has been discontinued. It was taken with a wooden pinhole camera from the back of a moving automobile. Sheri was driving. It is called Library Liberties. 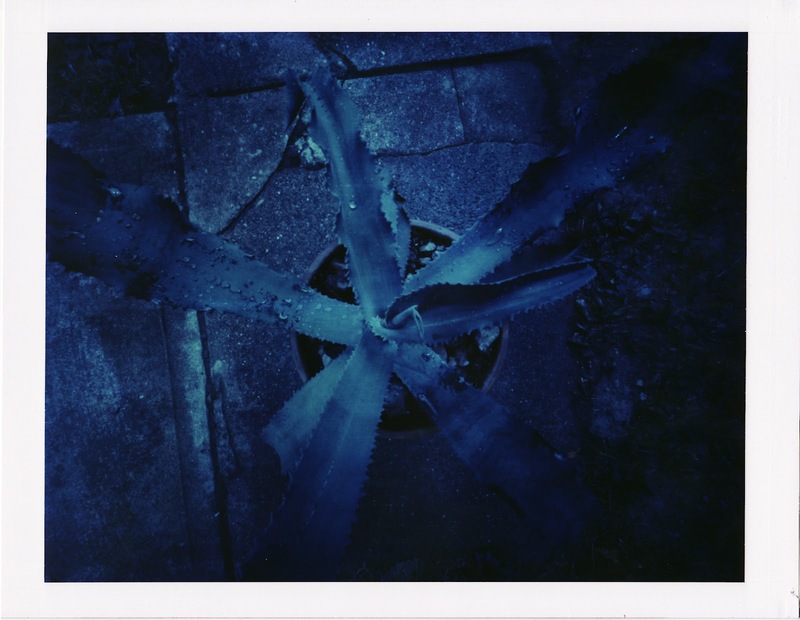 I call this one All Blues it is another 8X10 Polaroid. Please read the show and reception announcements in the two previous posts. 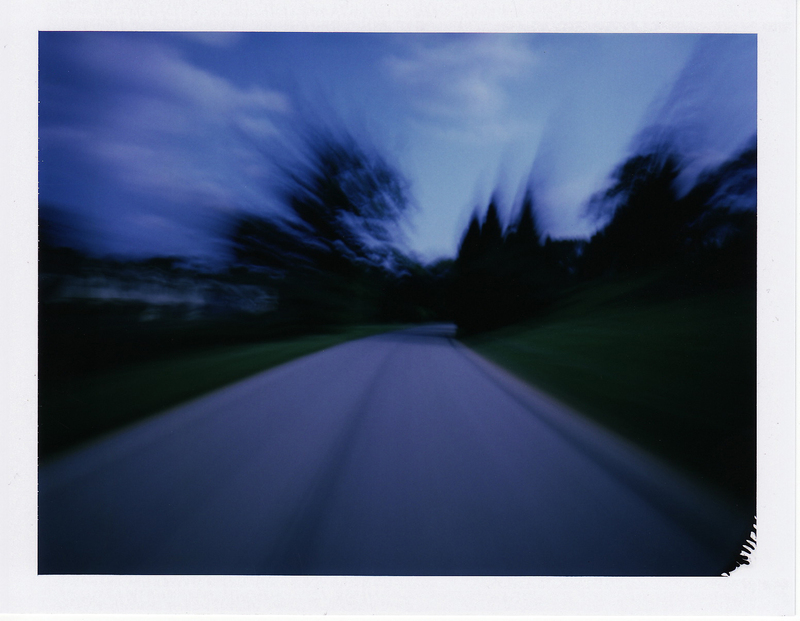 Another 8X10 Polaroid that will be in the show opening September 28th. This one is called Blue in Green. All Polaroid 8X10 film is beyond it's recommended use date. This photo was exposed for twelve minutes or more. 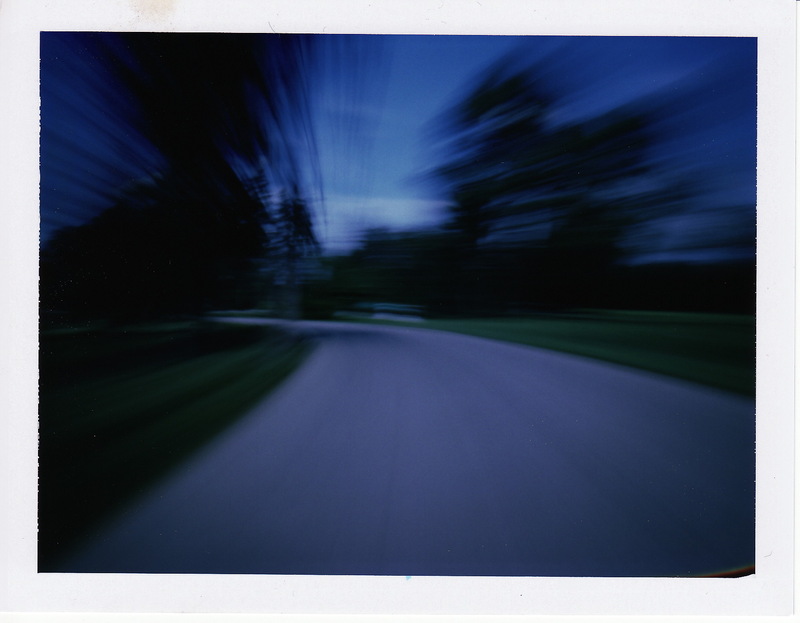 The combination of long exposure and out of date film makes for some interesting color shifts. 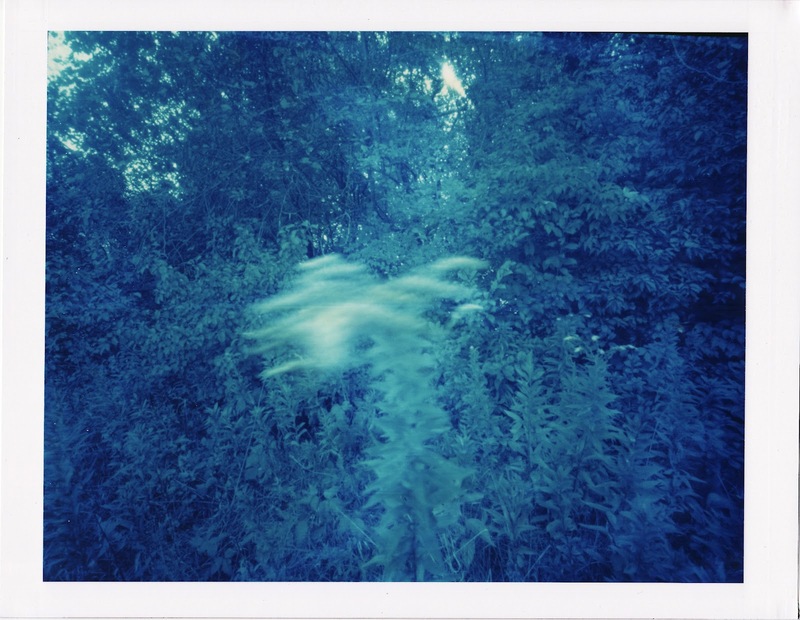 I will be having a show of instant analog photographs that opens Friday September the 28th. The show is called Permission 7 (beyond my own boundaries). It will include images in five sizes from 2"X3" to 8"X10". 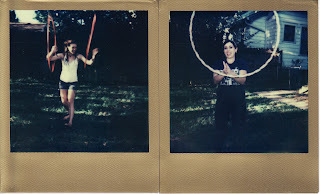 There will be color, black and white and sepia photos on Polaroid, Fuji and Impossible films. 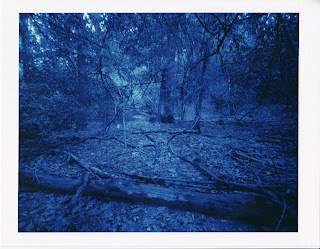 The above photo Kind of Blue is an 8X10 Polaroid (on out of date film of course). 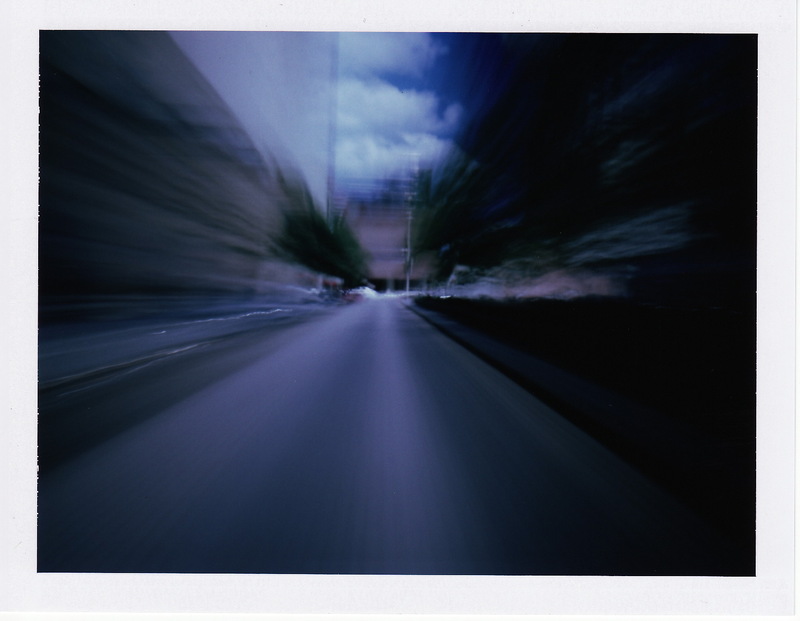 It was taken with a .0270" pinhole at a focal length of 6.9". Please stay tuned.